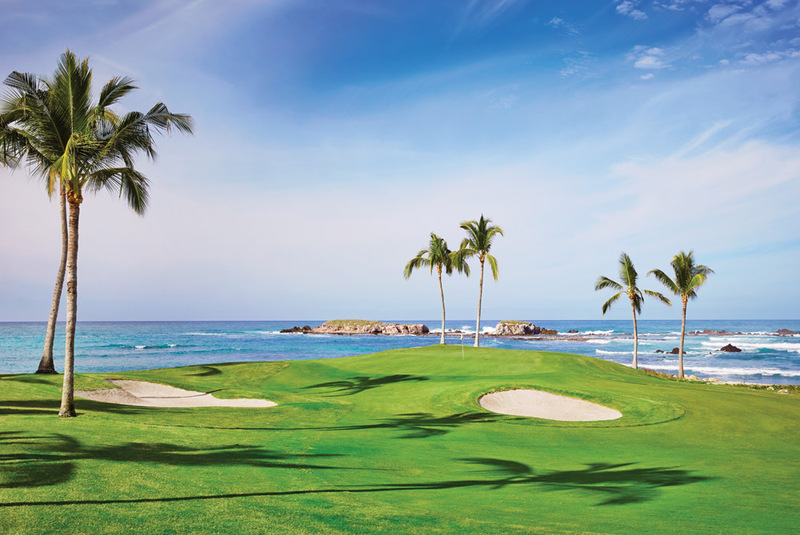 Two Jack Nicklaus courses are worth the hour drive west from the Puerto Vallarta airport to Punta Mita, a 1,500-acre resort and residential community. Homes in this gated community range from $700,000 to $14 million, and two world-class resorts–the Four Seasons Resort Punta Mita and The St. Regis Punta Mita Resort–offer the expected high level of service. The par-72, 7,014-yard Pacifico Course has long garnered attention for its unique–and optional–par-3 3rd hole, which is all-carry over water to a green, only reachable via an amphibious vehicle when the tide is in (if you do play it, take an extra club since the green is deeper than it appears). The par-72, 7,035-yard Bahia Course is similar in terrain to its neighbor but with more sharply contoured greens. Before or after your round, make sure to enjoy lunch on the outdoor patio at the clubhouse. Order the camarones fajitas and wash them down with an Arnold Palmer, Mexican-style (made with extra-fizzy lemonade). While dining options abound at both resorts (the Four Seasons beachfront bar is a great place to catch the sunset), an alternative just outside the gates is worth the short trip: the upscale Tuna Blanca by Café des Artistes, part of a beachfront boutique hotel. A Greg Norman-designed course opened in November 2016 at Vidanta Nuevo Vallarta resort just north of downtown Puerto Vallarta, joining an existing Jack Nicklaus Design layout. Offering countless views of the Sierra Madres Mountains, the par-73 course also features a ride over the world’s longest golf cart suspension bridge that spans the Ameca River from Nayarit to Jalisco.